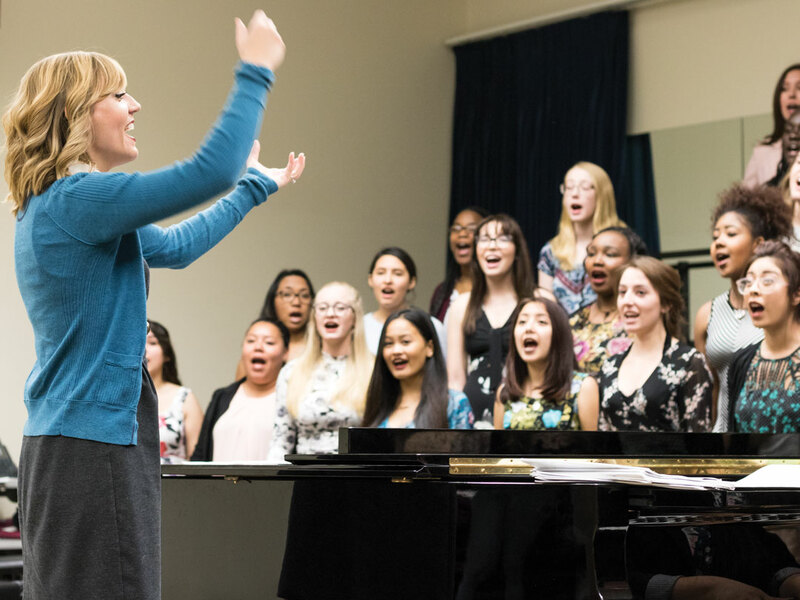 After two years as the New Song Director, Kathleen Kopitzke, visiting professor of music, is leaving California Baptist University. Kopitzke started at CBU as a music student, but once she graduated, she was offered a position on the staff of the music program. She acknowledged her detour away from her original goal, which was to teach high school English and music. Students such as Jessica Spung, junior music education major, said she will remember Kopitzke as a professor and former student. Kopitzke’s greatest impact was made during her time as a professor. Her passion of seeing students grow in their abilities aided her in teaching and continuing the rigorous excellence of the music program at CBU. Bella de Leon, sophomore music education major, is one student who recognized Kopitzke’s contribution to her CBU experience. Kopitzke said she remembers what it is like to struggle as a student with exams, personal lives and the rigor of the School of Music. Kopitzke said she is thankful for her time in which she learned just as much as her students. Although she is leaving CBU, her impact on students and their reciprocal impact on her will always be felt. Kopitzke plans to begin her teaching credential in the fall.